Heavy watercolour paper, 152cm x 122cm, pure gold leaf and Japanese ink. 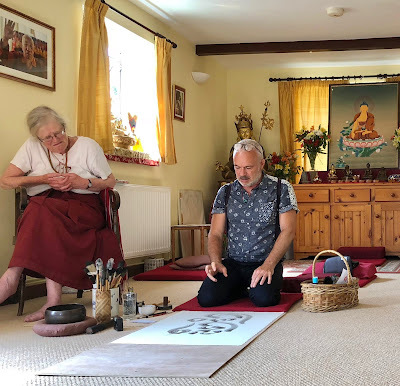 The second Dharma Festival at Gaunts House, offers a range of fascinating performances, workshops and exhibitions with an opportunity to relax in the peaceful environment of the garden and park in the middle of the Dorset countryside. 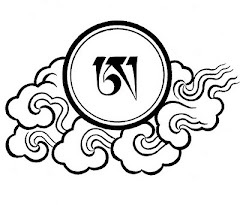 Arrive on Wednesday 11th July and set up your tent in the glorious grounds of Gaunts House. 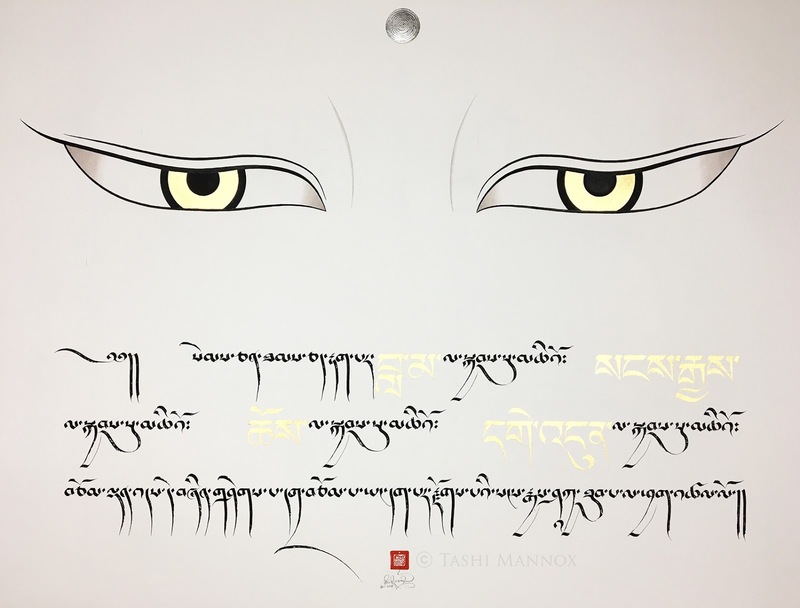 The MONKS FROM TASHI LHUNPO MONASTERY will be starting the construction of a Sand Mandala in the Tantric tradition of Tibetan Buddhism, and there will be an opportunity to watch the opening ceremony. 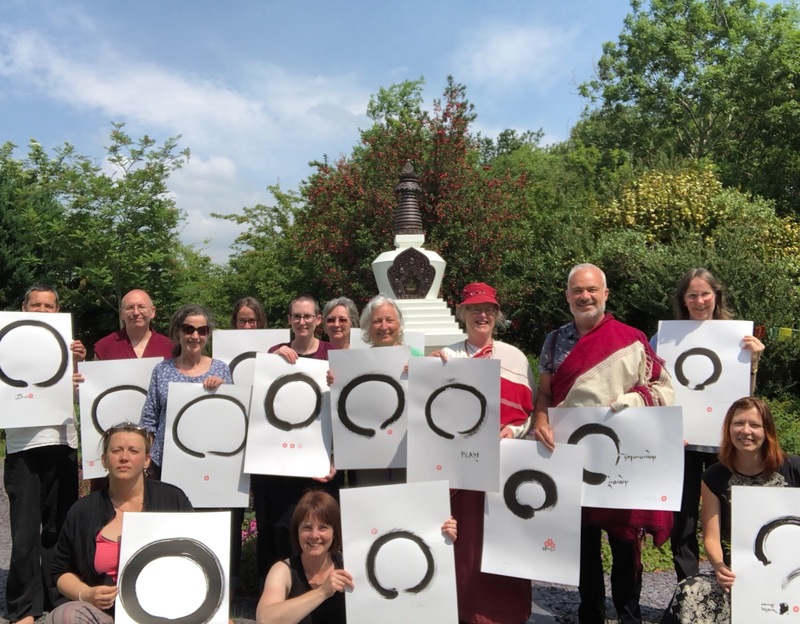 For more details and to book to take part, please follow the link here. Nigel Shaw and Carolyn Hillyer: Performances and workshops; Tibetan Art, Sand Mandala, Drumming, Yoga, Tai Chi and Much More! 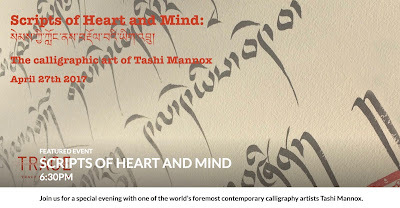 Tashi's exhibition of the original calligraphy artworks, which feature in Sacred Scripts, will be on show in the Sand-Mandala scared space, along with the above large All Seeing Eyes of Buddha art piece. 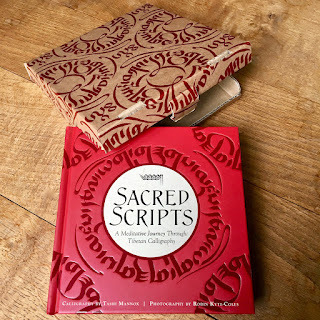 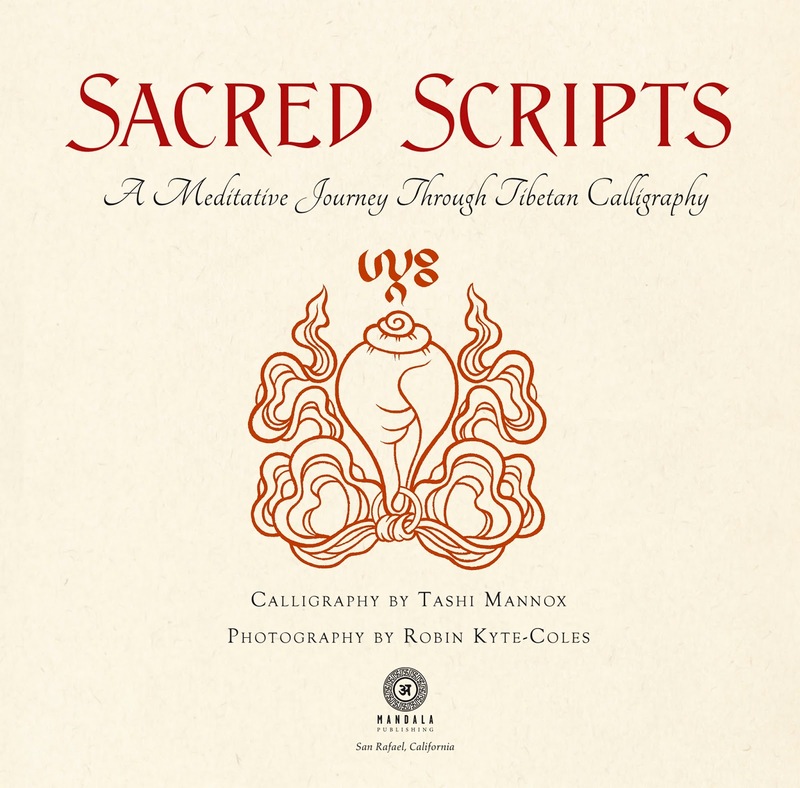 Special limited boxed editions of Sacred Scripts will be available with a book signing opportunity after Tashi's workshop on the weekend. 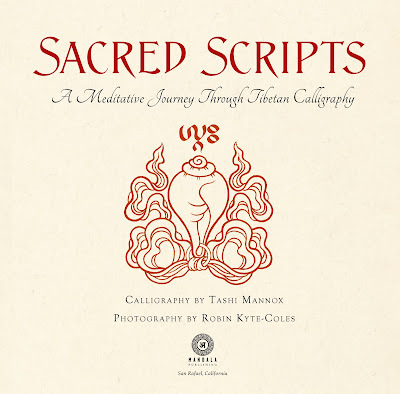 Limited edition giclée art prints of the Sacred Scripts works will also be on sale at a discount price. 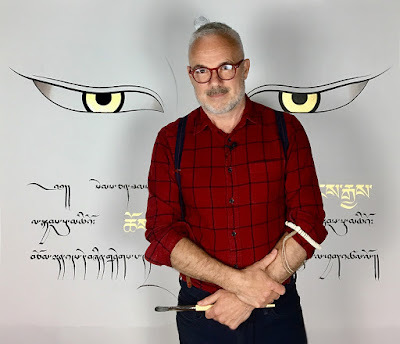 Tashi Mannox returns to New York with The Meditative Scribe - a retrospective exhibition of contemporary Tibetan calligraphic art. The exhibition includes both original artworks and limited edition giclee art print spanning over the past two decades. 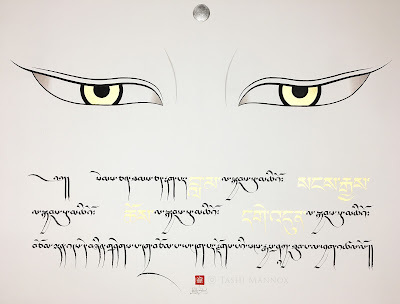 A variety of art pieces demonstrate not only the rich diversity and beauty the Tibetan calligraphy traditions has to offer, but also spiritually meaningful iconography of Tibetan Art. 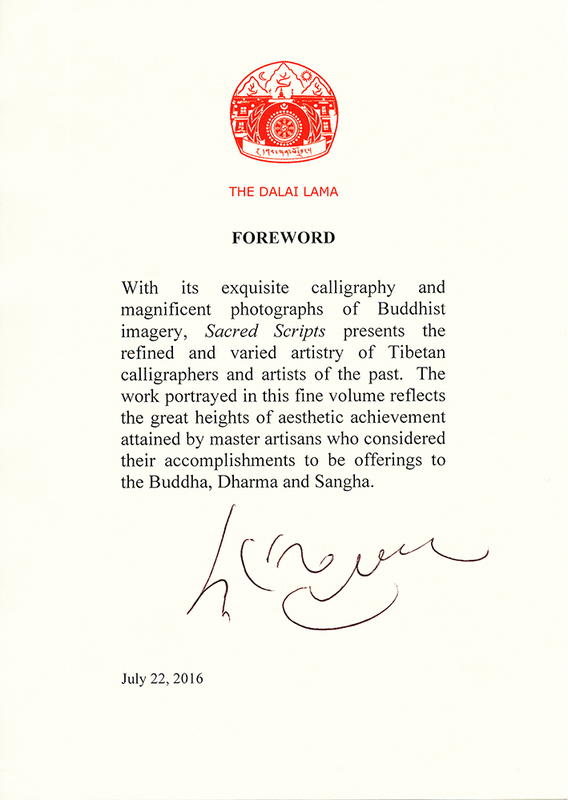 Tashi Mannox, once a Buddhist monk himself for 17 years of his young adult life, is now celebrated as the world foremost Tibetan calligraphist and Dharma artist, with an ability to communicate the integrity of ancient Buddhist wisdoms, while presented palatable for the 21st century, as relative today as it was historically beneficial. 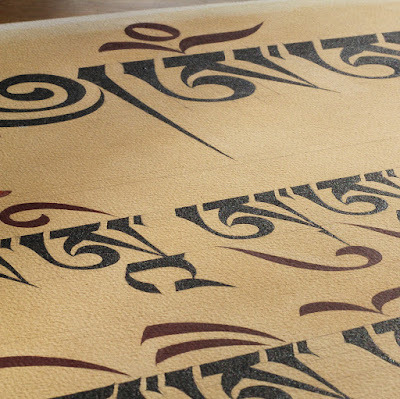 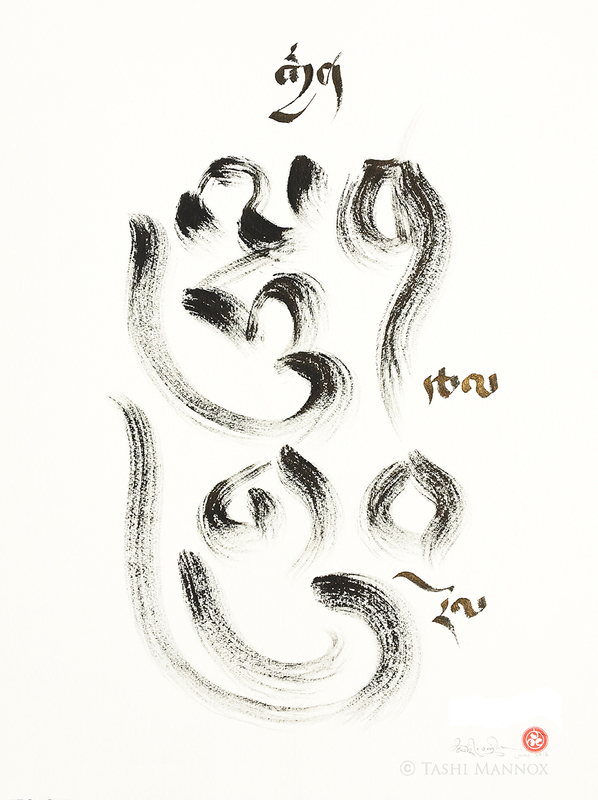 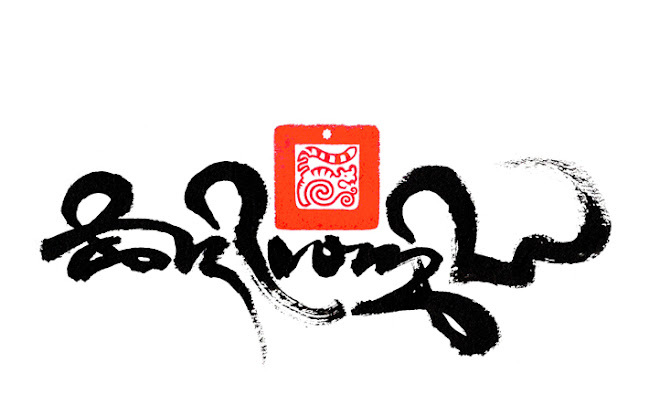 Learn the art of writing beautiful Tibetan Calligraphy with Tashi Mannox. 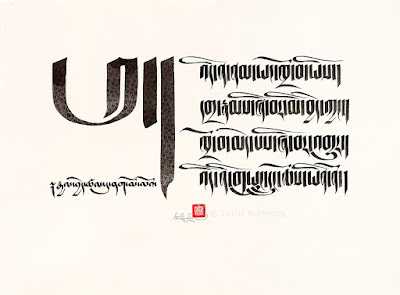 Introducing the traditional geomantic guidelines of the classical Uchen script - Tashi leads a comprehensive two days course in how to correctly construct the letters of the Tibetan alphabet, vowels signs and subjoined letters. 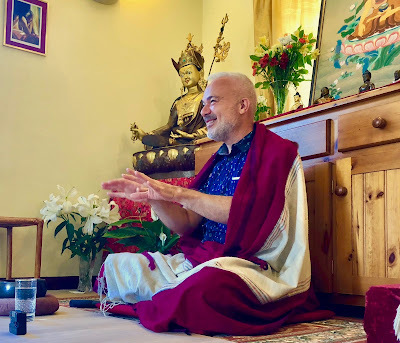 Workshops are suitable for beginners who wish to master wielding a pen for a firm foundation in writing elegant Tibetan, as well as for those more advanced who wish to further their skills in Tibetan calligraphy. 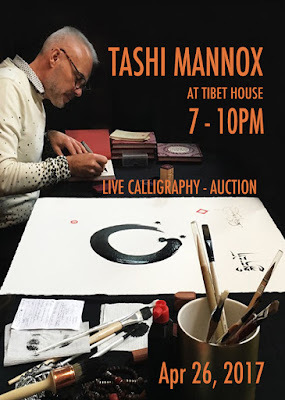 Please bring with you a pad of good quality paper and square nib calligraphy pens, pencil and rule. To book a place on the workshop, please follow the link here. 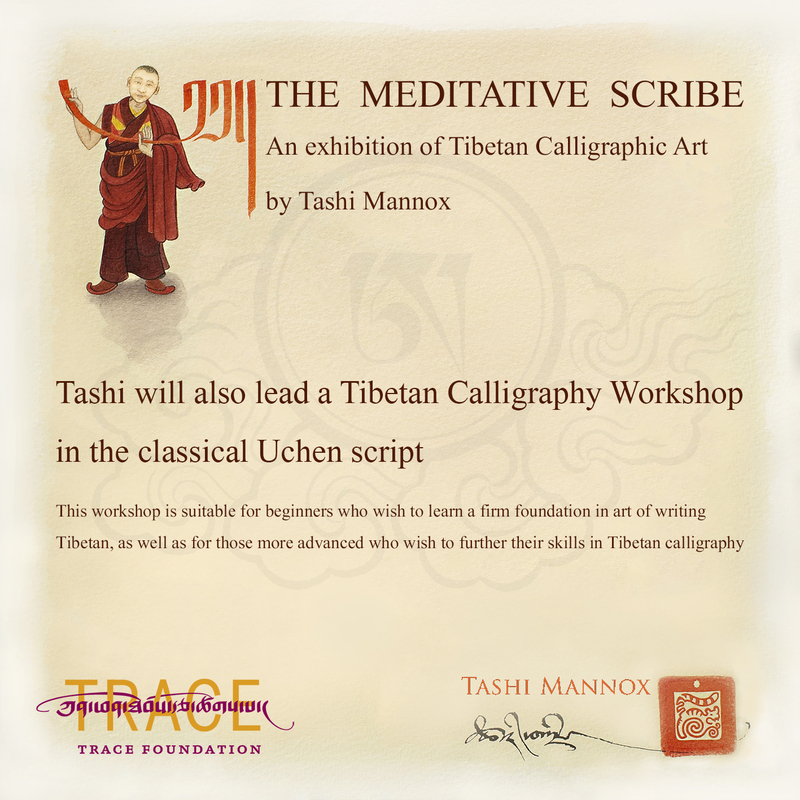 - The Trace Foundation - 132 Perry St, #2B, New York 10014.